I’m already trying to get a jump start on one of my upcoming New Year’s resolutions. I recently updated the way I was storing craft supplies in my office. I realized that there were a lot of supplies I hadn’t been using. So before I head to the craft store to stock up on all new supplies, I really want to utilize a lot of the supplies I have that are just hanging out in my storage baskets. 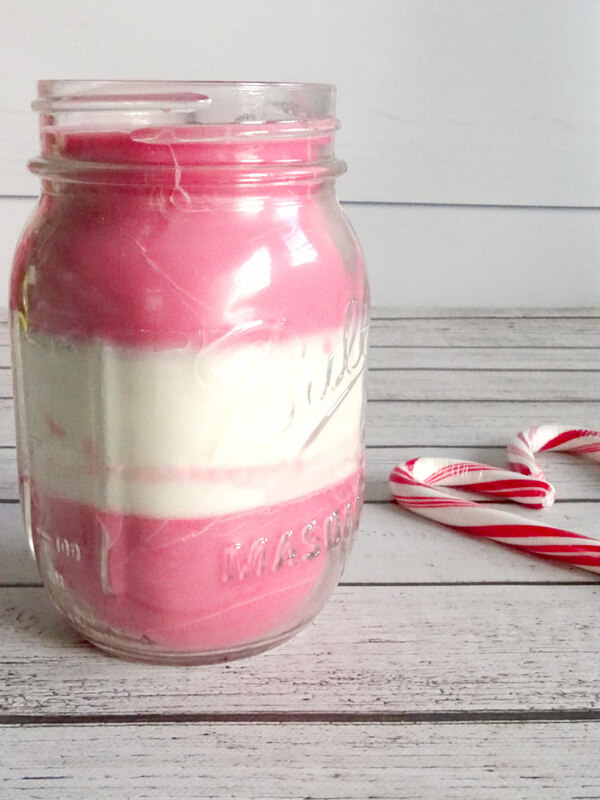 Add a Glue Dot to the bottom of a candle wick and set it into place in the bottom of your mason jar. In a glass measuring cup, add one cup of soy wax. Microwave for 60 seconds, continuing in 30 second intervals until wax is completely melted. Break off a small piece of your red wax chip and stir into your melted wax using a bamboo skewer. Add more color, as desired. Add 20-30 drops of peppermint oil into melted wax and stir. Pour wax into the bottom of your jar and allow to harden. You can do this by letting it sit on a counter for a few hours or speed up the process in the fridge. When the bottom layer of wax is completely solid, repeat with another layer. 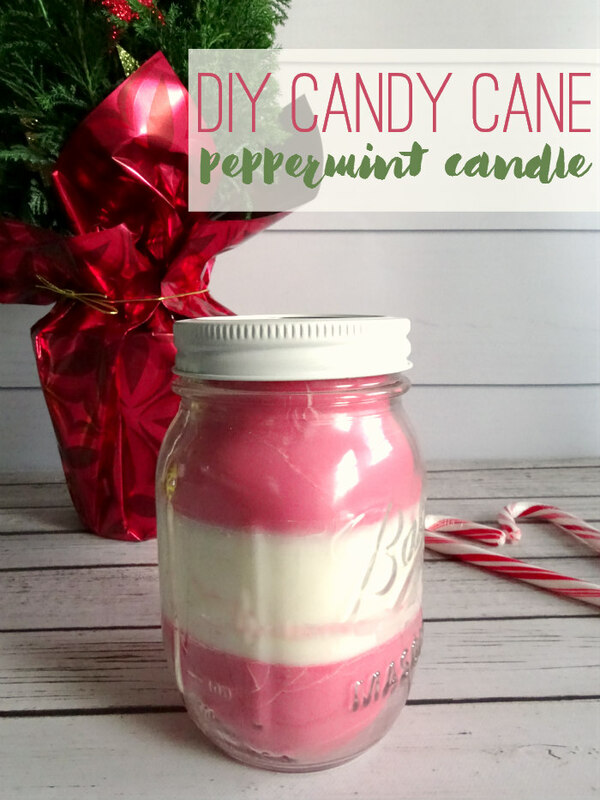 This time, add peppermint oil to the wax, but not color. Repeat with one more layer. For this layer, add a small piece of red wax chip again. Allow candle to harden completely before use. 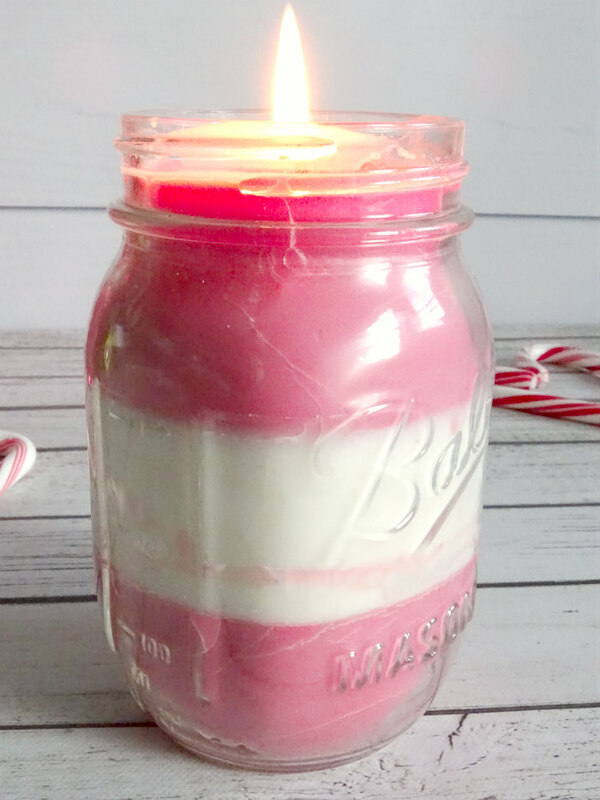 To make a lid for your candle: use E6000 to glue the mason jar seal to the lid. 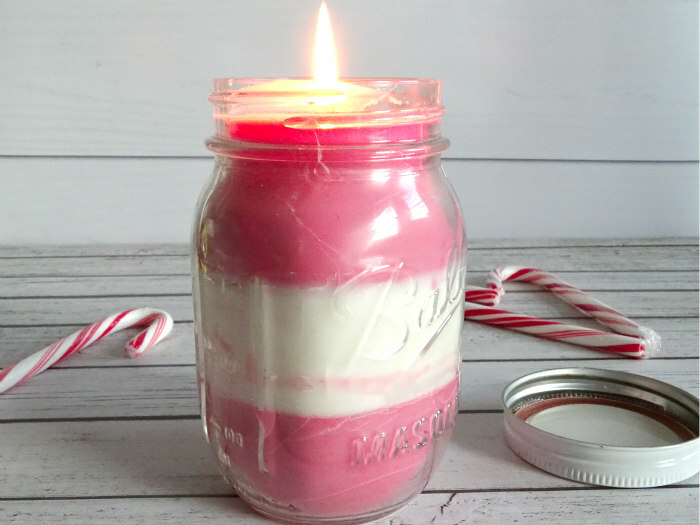 Allow lid to dry completely, then display candle. Hi there. I’ve tried making my own candles, but for some reason after I light them , the flame on the wicker is so small, it ends up going out. Is there something I’m doing wrong? The only thing I can think of is maybe the kind of wick you’re using or you’re cutting it too low before lighting. Sorry I’m not much of a help, but hopefully you have better luck with candle making in the future!